We're wanted to pass on thanks to Gary Campbell for the awesomely vivid photographs he took of our projects and had printed for our front entry. These images were printed on metallic gloss paper by Resolve Photo. We then mounted them on wooden panels from Mona Lisa Artist Materials. There's one more photo in the foyer and a rendering in the boardroom, but you'll have to visit us to see those! Gary doesn't just take pictures of buildings. He has a very diverse portfolio including some phenomenal fine art photographs. You should check out Gary's website. PS. Thanks Evan for the card! A few months ago, Inertia went on a housing tour of Vancouver and the Lower Mainland. The area is in the middle of a housing boom, and we were able to see a wide range of product over the two day tour. Microsuites are becoming popular in the area, but not where we expected to find them. Tien Sher's Balance project isn't in downtown Vancouver, but rather in Surrey. Many of the units were less than 400 square feet. Because it was hard for people to visualize how to use this tiny space, the smallest units were fitted out with murphy beds from Resource Furniture. The elevation demonstrates that it is still possible to achieve something engaging while still using basic finishes. One of our favourite projects from the tour were Mosaic Homes' Freemont Indigo and Freemont Green in Port Coquitlam. These are mid-rise and townhouse developments respectively that are on the Pitt River near the Lougheed Highway. We were impressed by the layouts, landscaping, finishes and attention to detail. They also reminded us of comprehensive developments we've seen in Southern California, both in terms of design and presentation. Like such southern projects, Freemont shares a common private club house that features a lounge, fitness studio, meeting room, community garden, dogwash, gymnasium and a pool. Hayer's Exchange Townhouses in Willoughby are unexpectedly urban for being almost an hour out of Downtown Vancouver on the Trans-Canada Highway. The back-to-back layout presents the challenge of how to accommodate an attached garage, amenity space, enough bedrooms and bringing enough light into the units. The solution was to sling two storey units overtop of the garage, put a deck on the roof, limit the interior units to two bedrooms and locate the three bedroom units on the corners. We've joked about the absurdly named Amazing Brentwood project, but its the one project name that we remember without fail. Amazing is an urban development project on a massive scale. In the previously vast parking lot that surrounded a suburban mall, an increasing number of 50+ storey residential towers are being built. In combination with the nearby Skytrain station, Brentwood is quickly becoming a dense urban hub for North Burnaby. At the time of our visit, the first tower was still just a hole in the ground. That said, at the time of this post, the first two towers are sold out and the third tower is 75% sold. In West Vancouver, Grosvenor's Ambleside demonstrates what move-down living can look like when money isn't an object. This urban project is aimed at those who are simplifying their lives and who want a lock-and leave-alternative to their West Vancouver house but who don't want to leave their neighbourhood or their furniture. 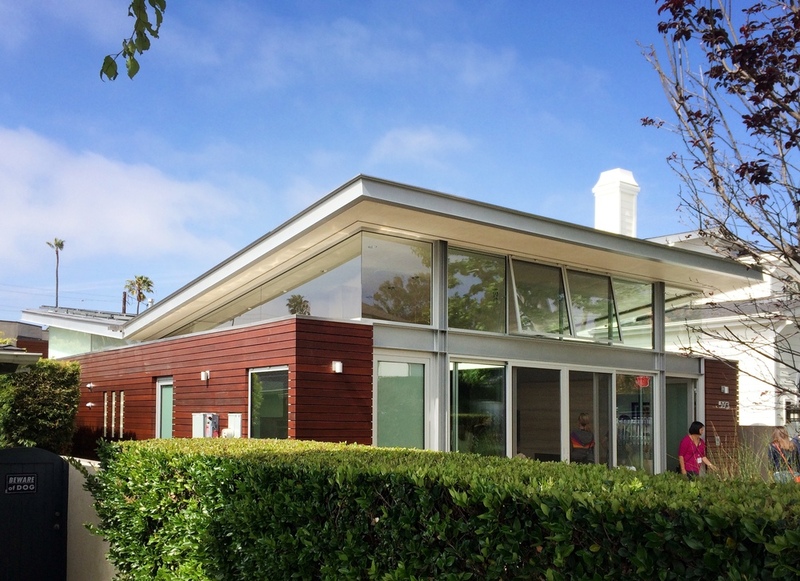 This James Cheng designed building has units that range in size from about 1,000 SF to over 2,500 SF. Each unit also features private underground parking. There wasn't much to see of the actual project yet, but their model and sales centre were spectacular. We toured eighteen projects in two days. Most of them were interesting, but there were certainly too many to fit into this post. After visitings a few new developents near UBC as well as the Shannon Wall Centre on Granville, we finished the second day up at the Residences at the Georgia Hotel. There we were treated to spectacular views of Downtown Vancouver and surroundings. Clearly there is a lot of choice in the Vancouver housing market whether you want to live 50 storeys in the sky or in under 500 square feet. Issues of a housing bubble or foreign investment aside, we were able to bring back some great ideas that we continue to incorporate into our new designs. 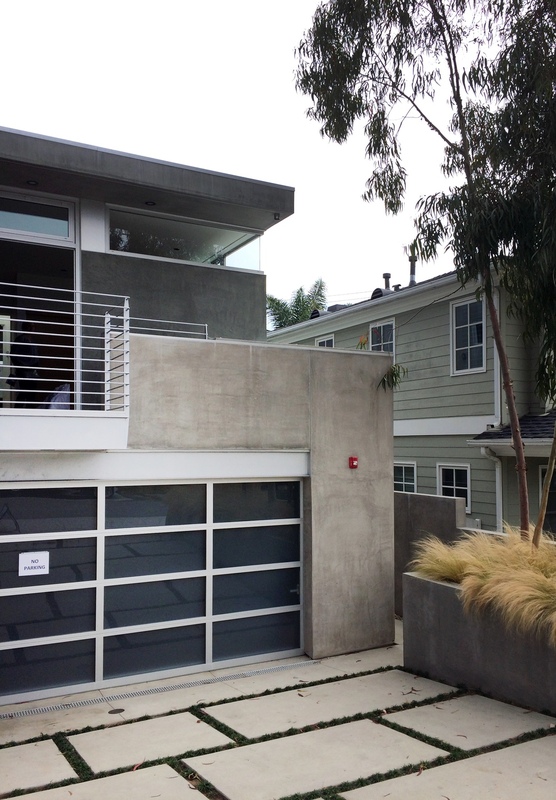 Inertia had the opportunity to go on the South Bay home tour at the recent Dwell on Design conference in Los Angeles. Only personal photography is permitted inside the private homes, so here are some shots that anyone could take from the street with their iPhone. Unlike last year's tour, we were impressed with the quality of design and finishing. To find out more about this tour and the selected houses, visit the Dwell on Design website. Gary Campbell recently took a couple of shots of our Richmond Hill singles. We're quite proud of these two houses that Casa DeVille built a few years ago. You can see these and more Singles in our Singles Gallery. A few weeks ago, our Lead Technologist, Tom Jenson (@tomjenson), had a chance to visit rainy Chicago for the Revit Technology Conference - North America. While Inertia gets to enjoy some of the new Revit tricks he’s learned, we all get to enjoy some of the photos he brought back. Interior of an almost complete Inertia-designed house in Edmonton. We’ll get some more shots posted once the house is finished. A nice detail by Tom Jenson Photography. This one is of Niklas Homes’ Bankview houses. Thanks to Tom Jenson Photography, we now have a nice colour image of Jigsaw Homes’ 30th Avenue projects. We have just posted a pair of photographs of a recent semi-detached project in South Calgary. Morning from the rooftop patio of Niklas Groups’ Salix project in Cliff Bingalow (under construction). We’ve posted a few more of Jim Nachtigal’s photographs of Inertia’s projects. Jim Nachtigal will be taking some pictures of our projects over the next few weeks that we will be posting to our website. Here is a sample of his work.